Reader G.P. sent in this article profiling an asteroid that is half a mile in diameter and will be hurtling past earth at 67,000 miles per hour close enough to be considered potentially hazardous. Asteroid AJ129 will fly by on February 4th, 2018. In the meantime, Detroit had a meteorite strike on a much smaller scale on Tuesday. NASA has suggested that the meteoroid was large enough that there are probably fragments on the ground since their Doppler radar showed patterns indicative of that. Showing his true colors, New Jersey governor, Chris Christie signed an unconstitutional and illegal law into place that outlaws the sale and possession of bump-fire stocks among other firearms accessories and components. The law takes effect immediately and requires anyone in possession of a bump-fire stock to surrender it to a law enforcement agency without compensation within the next 90 days. Those who refuse will be subject to three to five years in prison, a fine up to $15,000, or both. Now aren’t you glad He’s not president? Reader H.L. sent in this article on the importance of the revelation of the presence of snipers and the significance of the Feds attempt to hide that fact in the Bundy Case. The roots go all the way back to the rules of conduct put in place before the Ruby Ridge incident where FBI snipers were given shoot-to-kill-on-sight order for any male on the Weaver land. The order was put in place without any plans to offer the ability to surrender to authorities and resulted in the death of Randy Weaver’s wife. Bundy had issued a call for help from the militia’s due to the presence of FBI snipers which the FBI denied were in place. It turns out Bundy was right all along, on that count. 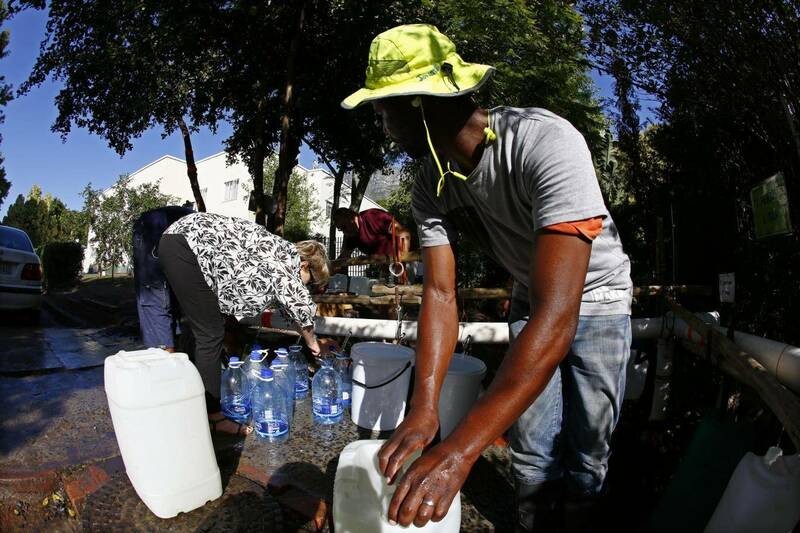 Cape Town, South Africa has issued a 90 day warning that it will run out of fresh water as the city supply dwindles. They are asking residents to scale back their usage and have placed a usage cap of 87 liters per person per day. The shortage stems from three years of low rainfall and drought coupled with a growing population and an increase in water consumption. If the city water taps are turned off, residents will be forced to travel to one of the 200 municipal water points across the city to collect a maximum ration of 25 liters per day. Thanks to P.S. for the link. In icy Mississippi, an electric power grid manager is asking customers in most of Arkansas, Louisiana, Mississippi and some of eastern Texas to reduce their power usage this morning because electrical demand driven by frigid cold could exceed available capacity. If the utility company can’t meet demand, they will initialize rolling blackouts. Entergy is advising people to lower their thermostats, delay laundry, dishwashing and bathing and work to prevent cold air leaks in their home. Thanks to G.P. for the link. 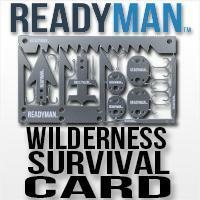 Daisy Luther, over at The Organic Prepper has an article based on information provided by Selco (of Balkans Collapse fame) on who survives and who dies when the SHTF. They talk about the initial stressors such as the feeling of hopelessness and the loss of control that a person feels as well as re-aligning your values. What is now most important to you. At least as important is how many people will bend rules that they had in place prior to the collapse. An empty belly is a powerful motive in challenging a person morals and ethical values. Thanks to H.L. for the link. Next PostLetter: Which Printed Encyclopedia Set to Acquire? The link under “Warning to Save Power” is to the South Africa water issue, not the Mississippi power issue. Shooting video, looks like it is a security guard who dosen’t play, not a cop. I agree, as his weapon appears to be a revolver, which these days are largely carried by security guards, not to mention I do not see a radio or a headset that goes with it, which cops these days carry whenever they are on duty or in uniform. A cop would of shot both of them and gotten a medal. The “Fifth Column” people who informed on their neighbors or helped the occupiers were the first to go. The occupier’s logic was if your own people couldn’t trust you why should we? Poetic justice to all the quislings, you’re only good for a while. Not a good way to go,selling your soul for some borrowed time then meeting your maker with the weight of guilt on you. Next were the “Intelligentsia” class. People who thought they knew it all. They couldn’t adapt or “get their minds around” the reality what was really happening. It ranged from Professors and their Snowflakes to any anyone. People who had something to believe in had the best chance of surviving. It could be yourself or the “light at the end of the tunnel” but belief in something. Regarding “Who Survives and Who Dies” – check out this interview from a survivor of the Bosnian War. It’s a little lengthy but worth it. Phil Murphy (total Progressive Collectivist) has introduced a slew of Gun contro; measures including a 5 Round magazine Limit and the banning of all semiauto firearms through enhancing the Assault Weapons ban to include (1) evil item i.e. detachable magazine, handgrip, muzzle break etc.no compensation for turned in firearms and no safe way to do so, law becomes effective immediately non compliance will get you 20 years with out parole .This along with a photo ID to purchase attached to your Divers license that can be remotely turned off. you also regardless of how long you possessed your NJFID have to take mandatory training to renew . NJ is going to be a test case and I think the Collapse will begin here. NJ is now also a Sanctuary state with an official state office of immigrant defense, Things are getting strange here. The people no longer matter anything that advances the “Progressive Ideology” is the only thing the NJ government cares about. RE:7-11 robbery.. The security guard is waving his gun around like a thug. I’m not so sure this is real as his body movements and gun handling skills reflect an untrained person. And the 7-11 cashier gets the “Most Nonchalant Clerk During a Holdup” Award. And always jump over a counter to put yourself in close position between two robbers, one on each side of you just in case they have a backup toy gun or a knife.